Lunch was a long time ago. And breakfast was way before that … which means your kids are probably feeling low key hangry by the time the bell rings. Tide them over from drop-off to dinner with these satisfying after-school snacks. Save time with make-ahead phyllo roll-ups. Combine cream cheese, reduced fat feta and a sneaky serving of spinach, and then cover in flaky phyllo. Keep these bad boys in the freezer throughout the week. When you’re ready for a quick bite, just pop in the toaster oven and serve. Traditional potato chips are fried in oil and full of fat. These quick phyllo chips use egg whites and a small amount of canola oil to achieve the same crunch without the calories. Go savory with ranch seasoning, or sweet with apple pie spice. A whole sandwich is a quick way to spoil an appetite. Get the same flavor combo in a small package with these PB&J Banana cups. 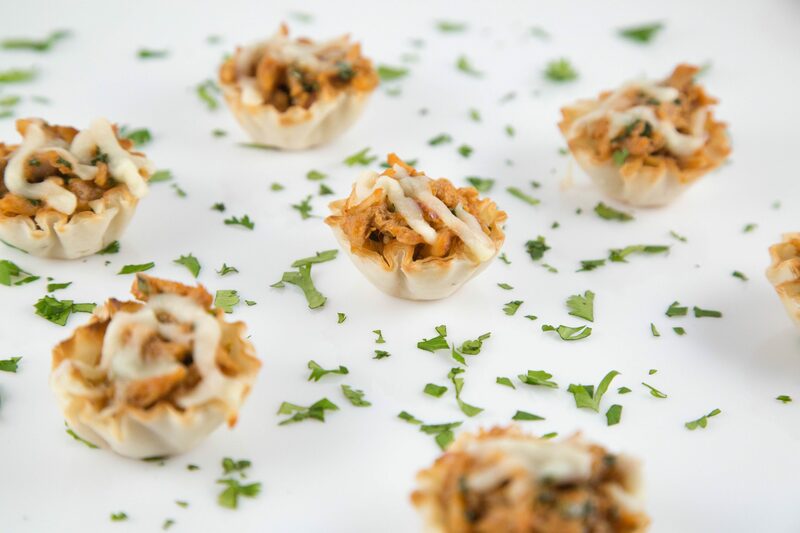 These protein-packed mini phyllo cups come together with six ingredients and 10 minutes of prep. Even if your kids aren’t the most adventurous eaters (let’s face it, veggies can be a hard sell), these pack enough cheese to get them to try a first bite. Sometimes, dance rehearsals, music lessons and soccer games can take up the bulk of an evening. Keep your kid fueled up with these chicken barbecue pizza cups. Rotisserie chicken, barbecue sauce, marinara and mozz combine for a snack that will keep them going until practice is over. Want even more ideas? Visit our recipes page or check out our Pinterest for dozens of after-school snacks you can assemble in a cinch. For cooking inspiration delivered straight to your inbox, sign up for our newsletter.